Spriggly's Beescaping provides educational workshops, exhibits, and services for pollinators, conservation efforts, and nature in general. With a special focus on the 4,000+ species of native bees in North America, Spriggly's works with individuals, businesses, museums, municipalities, and more to increase environmental awareness. Click to learn more about our nature-based educational exhibits and interactive workshops. Our story begins as many do, with a book. Brannen Basham, co-founder of Spriggly's Beescaping, came across a copy of "Hive and the Honeybee" in an old bookstore. From that day forth he had bees on the brain and could not stop learning. After keeping beehives for years and reading every book about bees he could find, he discovered the importance and incredible efficiency of native bees. He also discovered the lack of focus and awareness for these powerful pollination machines. Brannen and his wife Jill made it their mission to develop an educational business that provides opportunities for individuals to learn about native pollinators, conservation, and nature in general while offering educational on creating environments that support beneficial wildlife. Brannen worked for many years as a horticulturist for native plantings in historic gardens in Pennsylvania at Longwood Gardens and in North Carolina and the Biltmore Estate. With his knowledge and love of horticulture mixed with his passion for bees, the idea for Spriggly's Beescaping came to life. As if it was meant to bee, Brannen's wife and co-founder of Spriggly's Beescaping, Jill Jacobs, is a web design and marketing specialist, as well as a teaching artist. Jill has always had a passion for animals and love of all things nature, so when Brannen told her the type of business he wanted them to create, her only question was, "how soon can we start?" Spriggly's website is a work in progress. If you think an important native bee, beneficial animal, or other needed topic has not yet been highlighted, please let us know! If you have any ideas for additions to the site, contact us here. The main inspiration is our cat Lucy, who we affectionally call "spriggly" or "the sprig". Like the first sprigs of a plant, she was long and lanky as a kitten; she also has a certain affinity for plants and loves to rub against them or sleep around their pots, never trying to harm them. The nickname just fits and stuck over the years - it also stuck in our minds when naming the business. We also knew that we wanted to use the term "beescaping" to bring a direct focus to the need for these beneficial pollinators, along with highlighting habitat restoration and conservation. Thus Spriggly's Beescaping was born. 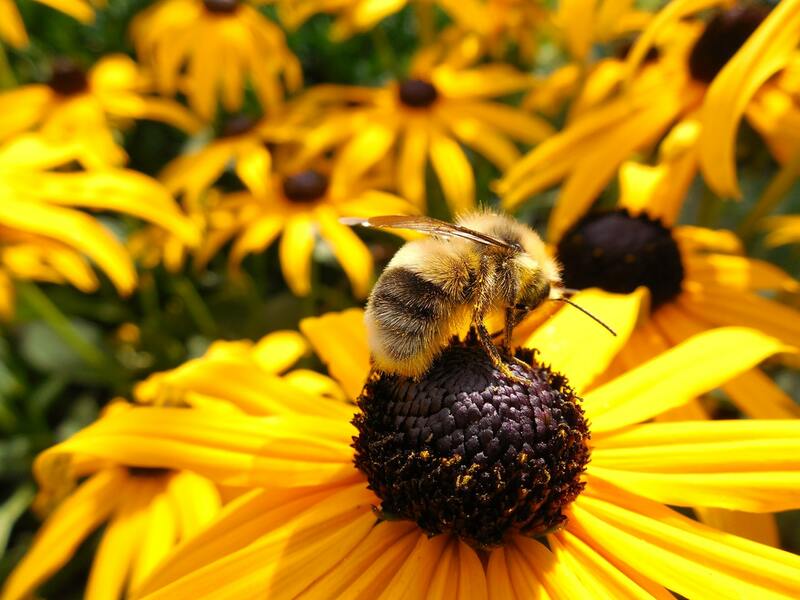 Beneficial animal pollinators such as bees, butterflies, birds, and bats are responsible for pollinating two-thirds of the plant species on earth. The vast majority of our flowers, trees, fruits, and vegetables rely on these pollinators to help them grow and produce. However, heavy use of pesticides, loss of habitat, pests and disease, and with other variables have caused a rapid decline of our pollinators. Now more than ever, bees and other pollinators need our support to prevent their extinction, and as a consequence ours. In general, nature is in a need of our support and helping pollinators is a great place to start. The first way to help is to ensure that you are not a part of the problem. For every pest there is a predator that's better than a pesticide. Never use pesticides if you can avoid them, try attracting other beneficial insects such as native ladybugs and hover flies as ways to combat aphids and other pests. If you must use pesticides, please only do so when the plant is not flowering and at night if possible to minimize direct contact with pollinators. Remember, some animals do pollinate at night so please be mindful of the animals in your region. The second way is to create an environment that supports pollinators. Leave an area of your yard "wild" - meaning leave it untended as it would be naturally. For example leave logs that have fallen and keep areas of open dirt uncovered by mulch where able. Provide man-made homes for pollinators such as native bee houses, bird houses, and bat houses. 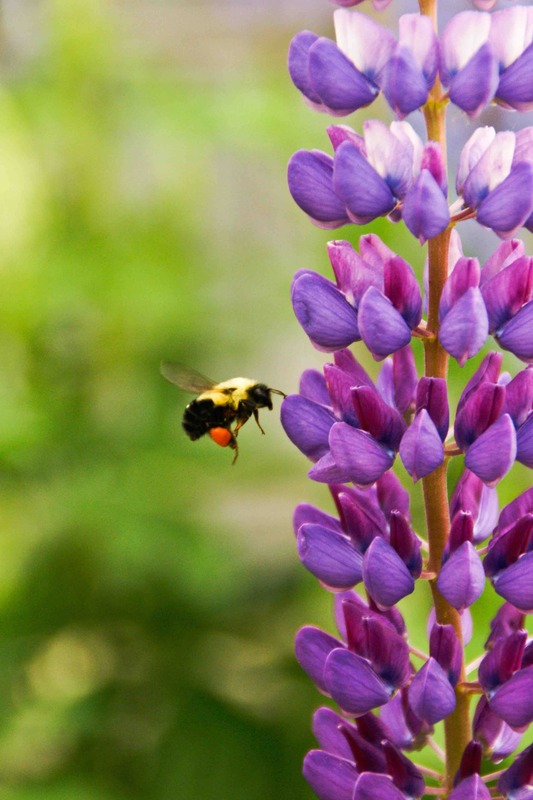 Plant a pollinator garden that has flowers which bloom throughout the growing seasons. Ensure that pollinators in your area have access to a water supply. If there is no natural water supply nearby, a shallow dish with pebbles and water will work, or consider a plant that can hold water for your pollinators such as a cup plant. There are many easy ways to support pollinators and Spriggly's Beescaping can help!